Server Side Request Forgery (SSRF) is a fun vulnerability, its impact ranges from information disclosure via service detection to root. There are lots of good resources about SSRF out there, acunetix has a good blog post for understanding what the vulnerability is while Orange Tsai shows what can be accomplished using the vulnerability. Detecting SSRF can be tricky, especially when protections against it have been implemented. During a pentest and when checking for SSRF it is extremely helpful to have control of a public web server which can accept incoming requests to see if the target application can be forced to make an outbound call to your external server and determine which payloads caused that to happen. It's also important to be able to configure redirect responses, for example, http://smeegesec.com could give a 302 Redirect to http://localhost:80 which may bypass protections the target application/server has implemented. An easy (and FREE!) way of doing this is using Amazon Web Services free tier. Running a simple http server from AWS allows us to test the potentially vulnerable application to see if external requests are supported and the various URL formatting/encoding which is accepted. 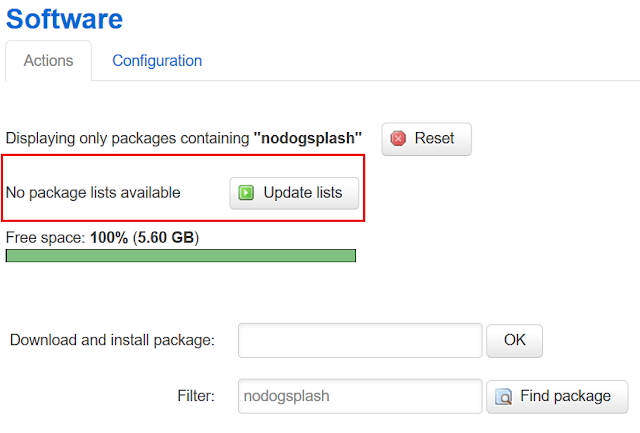 Navigate to the ec2 instance in your AWS to get the public IP address. You can now make calls to http://<public-ip>:<port> assuming the correct inbound/outbound rules have been configured to allow it. S3 Buckets are useful as they are easy to configure and allow for customizable redirects. 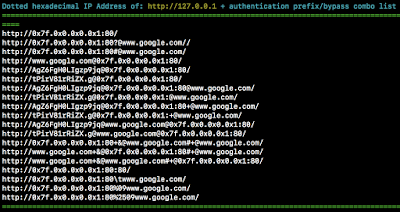 For instance, we can configure our S3 bucket endpoint to redirect to http://localhost:80 or similar. Redirect Requests – Simply redirects ALL requests to a different domain using a 301 redirect code. 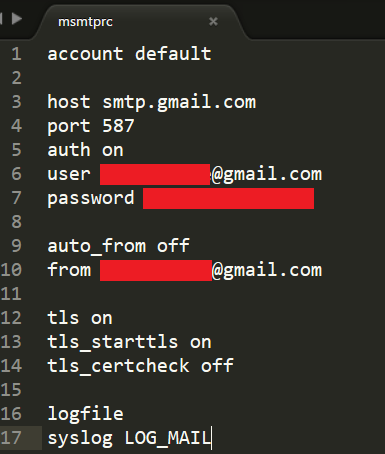 After attempting simple SSRF payloads such as “http://scanme.nmap.org:22”, “http://localhost:80”, “http://169.254.169.254” and to our public web server, there may be a need to bypass restrictions the application or server has in place to prevent SSRF (some target applications may even be nice enough to throw a common error when the URL is invalid). The output is around 240 payloads which can be used to check for SSRF. It would be very easy to take this output and use Burp Intruder to quickly determine which payloads may have been accepted. 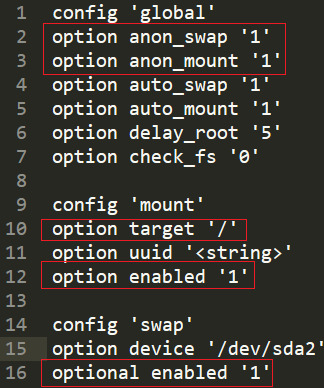 These payloads can also be configured as a redirect endpoint in AWS (see above) which makes for lots of options to potentially bypass any SSRF restrictions. As companies and organizations are becoming more aware of security risks and implementing proper protections it can be difficult for pentesters and red teams to gain access to a network. Social engineering is a great way to accomplish that initial entry. Unfortunately when phishing e-mails or calls aren't working and you don't want to be too aggressive in your tactics you need another method. What if we create an access point (AP) in the company's vicinity and redirect any users who connect, hopefully employees of our target company, to a customized captive portal splash page to steal credentials? It would be similar to what you might find when connecting to a hotel wireless AP. In this attack we are depending on employees' desires to use their company or personal devices on an unmonitored "guest" wireless network - separate from the company's main AP. 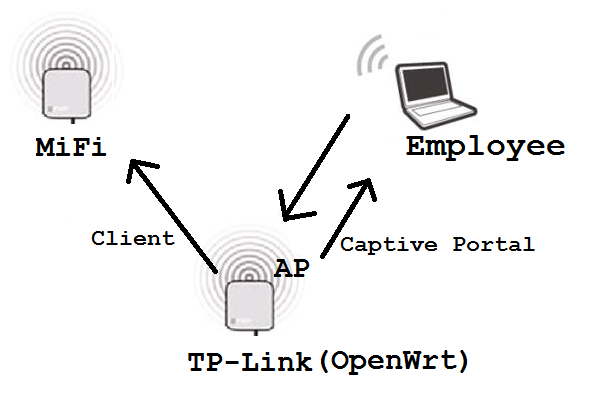 There are many tools which conduct wireless attacks such as Wifiphisher, however, these typically perform aggressive attacks such as forcing a man-in-the-middle connection. Setting up a captive portal is a more passive approach. Something like a captive portal can be done with WiFi Pineapple, but I wanted to create my own for customization, cost savings, and fun. For this project I wanted something small and portable which can be hidden in or around a company's physical location. I chose the TP-Link TL-MR3020 router which ranges from $30-$50. For storage and concealment purposes I used a SanDisk Cruzer Fit 8GB USB flash drive which can be bought for as little as $7. Optionally a portable battery pack can be used to power the router and those are fairly inexpensive as well. To connect my router to the internet during an attack I am using a Verizon MiFi, however, you could also use a nearby public AP as well. The following is a step-by-step guide of my process. Skip to step 7 for the good stuff! The default URL to access the web interface of the TP-Link router is http://192.168.0.254 with the credentials of admin:admin. For more detailed information regarding the router’s default configuration consult the router's user guide. Now flash the default firmware with the factory OpenWrt Barrier Breaker 14.07 firwmare: openwrt-ar71xx-generic-tl-mr3020-v1-squashfs-factory.bin. Note: No other version of OpenWrt has enough space to install the packages required to use the flash drive and expand the storage. 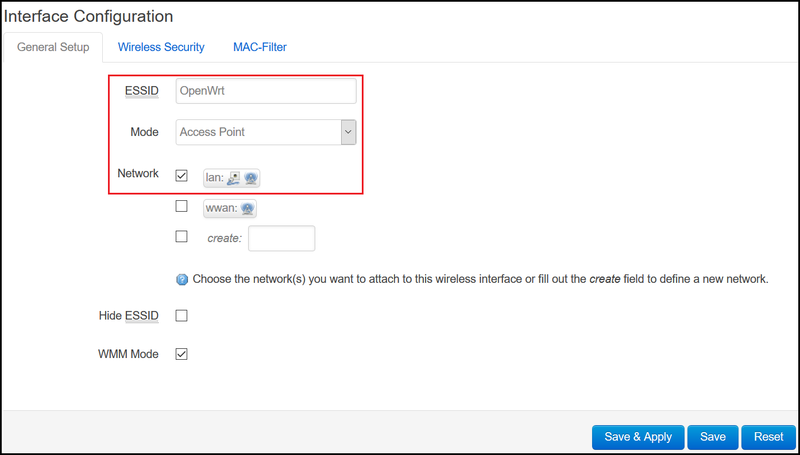 After flashing OpenWrt you should be able to access the web interface at http://192.168.1.1. If you are having issues connecting try disabling other network adapters not being used to communicate with the router. You may want to change the router’s IP address while you are setting everything up if it conflicts with other devices on your network. Go to Network > Interfaces > (br-lan) Edit > IPv4 Address to 192.168.0.1 > Save & Apply. After the settings are saved you will probably need to request a new address to be able to connect to http://192.168.0.1. To connect the TP-Link TL-MR3020 router to the internet it must be a client of another internet-connected router first. To do this go to Network > Wifi > Scan > Join Network > WPA Passphrase (if applicable) > Submit. By default the mode should be “Client”. Submit these changes for the MR3020 to become a client of your home router. 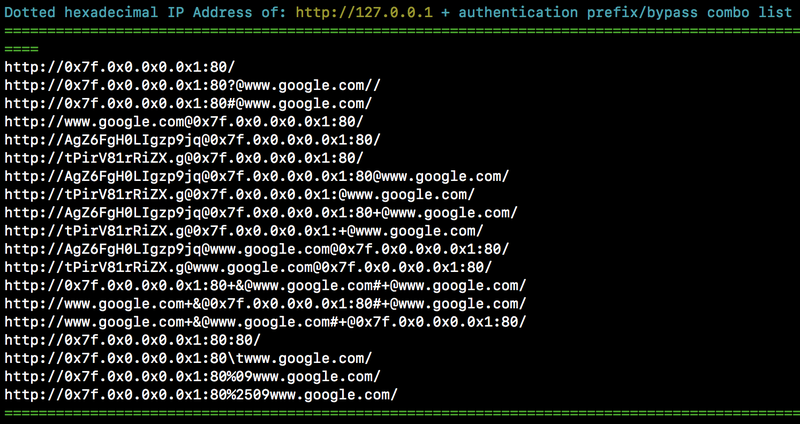 At this point you can confirm you have internet access by updating the package list or pinging a public host via SSH. Now the router can be rebooted and verify the increased amount of space using df –h. To create an access point to broadcast to potential victims go to Network > Wifi > Add and create the following interface. Make sure the lan checkbox is checked. Select Wireless Security if you want to configure authentication. Save & Apply these settings. You should now have your TP-Link TL-MR3020 router as a client to your home router which it will use for internet and also its own broadcasting access point. The ability to install various packages such as PHP was one of the main reasons why I initially expanded the amount of storage I had. Installing PHP is optional depending on what functionality you want and how you implement it. Since the NoDogSplash server does not support PHP, this allows me to use PHP with the default OpenWRT uHTTPd server without installing another separate web server. Installing PHP is easy via SSH with the opkg install php5 php5-cgi command. If this doesn’t work make sure you have the line src/gz barrier_breaker_oldpackages http://downloads.openwrt.org/barrier_breaker/14.07/ar71xx/generic/packages/oldpackages/ in your /etc/opkg.config file and update the package list. Finally in the /etc/config/uhttpd file add the line list interpreter '.php=/usr/bin/php-cgi' to the 'main' section. Lastly, we can redirect the user to an error page stating the WiFi service is unavailable for some reason to reduce suspicions since we never intended on actually providing internet access. The goal of this attack is to be passive and inconspicuous. All done! In the future I may post various ways to deliver other realistic payloads such as a malicious executable or browser extension. https://www.hak5.org/hack/pineapple-phishing - Found this after my project, similar actions for pineapple. Customize your security testing with SmeegeScrape.py! It's a simple python script to scrape text from various sources including local files and web pages, and turn the text into a custom word list. A customized word list has many uses, from web application testing to password cracking, having a specific set of words to use against a target can increase efficiency and effectiveness during a penetration test. I realize there are other text scrapers publicly available however I feel this script is simple, efficient, and specific enough to warrant its own release. This script is able to read almost any file which has cleartext in it that python can open. I have also included support for file formats such as pdf, html, docx, and pptx. This is a sample text file with different text. This file could be different filetypes including html, pdf, powerpoint, docx, etc. Anything which can be read in as cleartext can be scraped. I hope you enjoy SmeegeScrape, feel free to comment if you like it! Each word is separated by a newline. The options -i and -s can be used to remove any integers or special characters found. Also, the -min and -max arguments can be used to specify desired word length. The screen output shows each file which was scraped, the total number of unique words found based on the user's desired options, and the output filename. 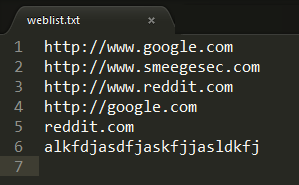 The -l option takes in a list of web urls from a text file and scrapes each url. Each scraped URL is displayed on the screen as well as a total number of words scraped. 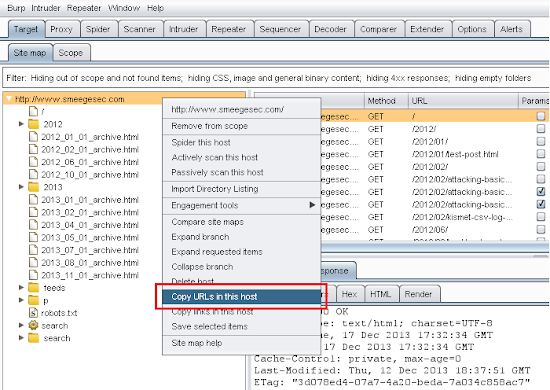 This weblist option is excellent to use with Burp Suite to scrape an entire site. To do this, proxy your web traffic through Burp and discover as much content on the target site as you can (spidering, manual discovery, dictionary attack on directories/files, etc.). After the discovery phase, right click on the target in the site map and select the option "Copy URLs in this host" from the drop down list. In this instance for even a small blog like mine over 300 URLs were copied. Depending on the size of the site the scraping could take a little while, be patient! Now just paste the URLs into a text file and run that as input with the -l option. So very easily we just scraped an entire site for words with specific attributes (length and character set) that we want. As you can see there are many different possibilities with this script. 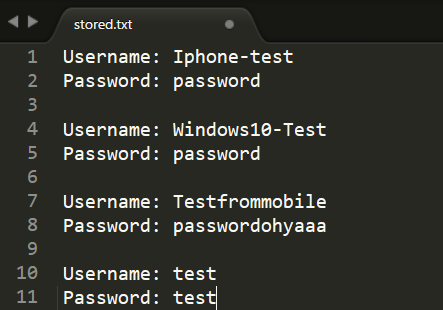 I tried to make it as accurate as possible however sometimes the script depends on modules such as nltk, docx, etc. which may not always work correctly. In situations like this where the script is unable to read a certain file format, I would suggest trying to convert it to a more readable file type or copy/paste the text to a text file which can always be scraped. Feel free to share your scraped lists or ideas on useful content to scrape. Comments and suggestions welcome, enjoy!